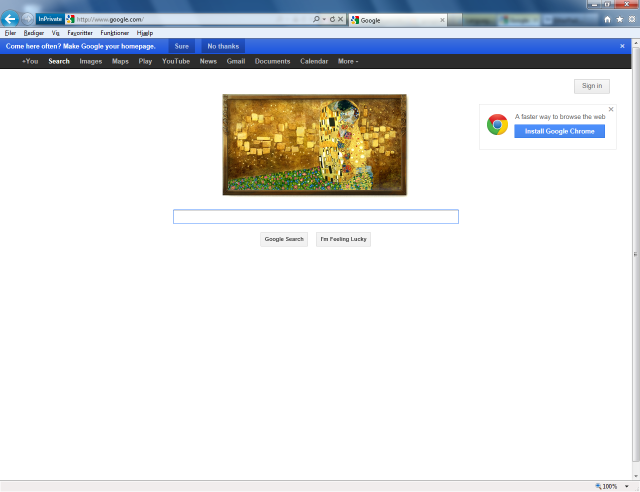 Is Google's Home Page Too Spammy Looking? Home > Google News > Google's Home Page Too Promotional? A Google Web Search Help thread create by a long time Google top contributor says the Google home page is way too spammy. Strong coloured Doodle, begging for attention. The links at bottom has "gone", are below the "fold". The "Images"-link is not to a service (e.g. Picasa), but to Image Search. Some services, are not found under neither "More" nor "More"\"Even more" (e.g. Google Sites is completely missing). Google Home Page Too Promotional & Spammy? Previous story: Google Maps Video Recap: Hide Address Listing?